Jeannie: Innocent and shy. Kicked out by her mother, Rita. 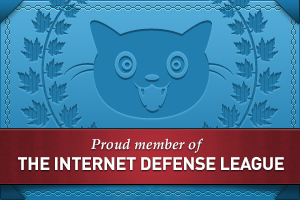 Matt: Predatory and dangerous. Is Rita really who he wants? Rod and Carla on a romantic city break, and Jeremy, just seven years old, out with his dad. And just who exactly is Mike? Could there be more to him than meets the eye? Making the transition from Poet to Author is a tricky one that some Poets are not able to make successfully; however, this Poet has managed to add Author to their résumé with what appears to be consummate ease. 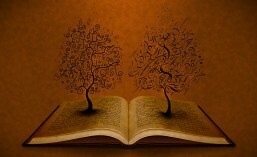 In this debut novella the readers given the chance to read of series of short stories; but are they just short stories? Each one of them is a tale within itself, but the Author manages skilfully to weave them all together to centre on the main character. The stories are all based on the same theme, but told from the different perspectives of each of the characters involved. The characters are well-written and immediately spring to life on the page. 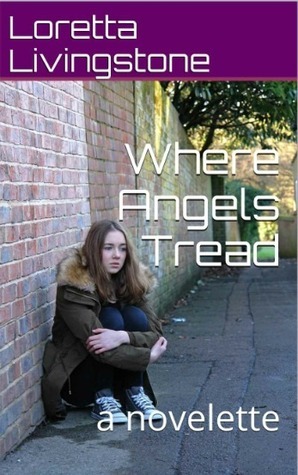 In writing the characters this Author has managed to give a name and a back story to members of our society that often go overlooked, the homeless. The main protagonist, around which all these stories revolve is a young homeless girl; fragile, vulnerable and scared, but also determined to make the best of her lot. The reason she finds herself in this situation is handled with kid gloves, and although brings a powerful picture of the home life of this girl, it is not done in such a manner that it could offend or shock those who are of a sensitive nature. In writing this novella the Author is able to remind the reader that, in this world of chaos, violence and the unspeakable acts we commit against each other, there is hope and that humanity has not become so lost that there is no way back. Yes, this book does have religious undertones to it, but that does not make it a novella that cannot be enjoyed by the religious and non-religious alike. I would highly recommend this book to any and all readers who are looking for a short uplifting read that proves the world is not such a miserable place after all. My reason for the 4 thumbs rating…it just wasn’t long enough. I look forward to reading more fiction from this Author. My Husband and I are driving to NY state tonight for a Family funeral. This means I may not have the opportunity to post anything next week, I am taking my laptop with me, so I will try but if I miss a day you all know the reason. The end of the world is not glamorous. The survivors of The Breadwinner have barely escaped the clutches of the undead and are headed into the unknown, continuing their never-ending search for solace in the post-apocalyptic landscape they were suddenly thrust into. 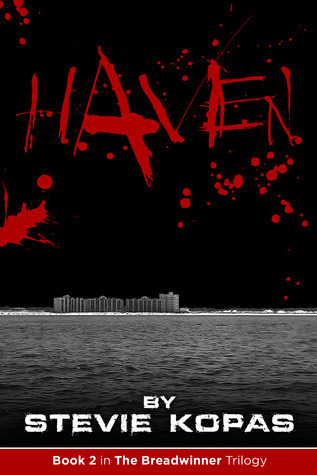 The city of Haven, once a paradise for the living, but now crawling with the flesh hungry creatures they try so hard to elude, could be their only chance. Resume your post-apocalyptic survival adventure with Veronica, Samson and Ben as they struggle with hope and loss, and as they battle the futility of existence. Take on a new experience as you find yourself once more at the beginning, thrown into the depths of the end of the world with new survivors. Join Michelle and Lulu, ordinary women faced with extraordinary obstacles on their devastating journey and the pursuit of sanctuary in a world collapsed. Sometimes with a trilogy the storyline can lose its pace and way when the second instalment comes out, but I’m glad to say this book did not fall victim to that issue. As with its predecessor this is not a long read by any means, coming in at 169 pages, but what this Author manages to pack into those pages just has to be read to be believed. Not only are the characters from the first book included in this one, the Author introduces a new and interesting second set of characters. When writing the ‘leader’ of this second group, the Author has created the perfect antagonist who is a direct contrast to the lead the reader came to know in book one; together these two make a well-rounded team that, it seems, will be able to take on and triumph over anything that stands in their way. However reading about this new character will have the reader wondering whether they would rather face off against her or the other things that lurk within the books pages, at times I felt I would rather take my chances with them than her. Once again, all the characters are well written and very believable, and the reader will become connected to them; whether it is through love or hate they will connect. Filled with shocking twists in the tale, and the ability given to the reader to follow one woman’s descent into madness, this book is definitely not for the faint of heart; combine this with the fast pace and high levels of action, this is a book that will keep you hooked to the very end. If all zombie novels were as well written as this trilogy is turning out to be, I could well become a lover of the genre; as it is I would highly recommend this book to lovers of zombie fiction and also horror stories. I am looking forward to reading the final episode of this trilogy. “So when most of the men were dead, women saw their chance to take over?” Kate searches her son’s eyes as he asks this. “Not take over,” she says. “Fix things.” It wasn’t hard to justify what the women had done since the end of the Last War. They rebuilt their bombed-out neighborhoods as best they could and tried to establish peace and gender equality. But small groups of men roam the country, viciously indicating that the pendulum may have swung too far. When a bedraggled man shows up on Kate’s doorstep one night, will she risk everything to help him? Does he deserve her help? 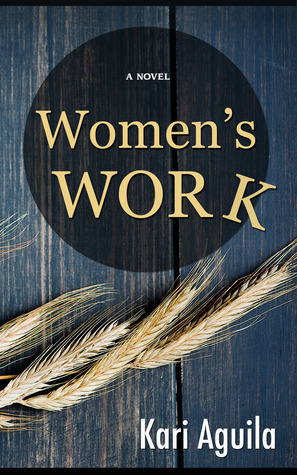 Women’s Work is set in a dystopic world in the Pacific Northwest, where women struggle to survive through sustenance farming, clever engineering, and a deeply rooted sisterhood. Kate and her family are led through a journey from anger and fear to forgiveness and hope. It is a compelling story that challenges all of us to question traditional gender roles and to confront the fragility of love. I initially wanted to read this book because the synopsis brought to mind The Handmaids Tale by Margaret Atwood, and the twist on this type of dystopian theme intrigued me as I had thoroughly enjoyed the aforementioned book. Unfortunately, this one lost its way somewhere in the pages, and I’m still trying to figure out where this happened. The characters in this book are, for the main part, all women and given the theme of the book I fully expected them to be strong and capable with none of the insecurities felt by their gender prior to the events that heralded this story. I found them to be full of paranoia and the usual backstabbing insecurities that are rife in many of my gender today, and this was a total let down. I enjoyed the main protagonist immensely, up to a point, but then even she let me down. I felt so much more could have been done to develop the characters encountered whilst reading this book but, as they are I am sure that if this is chosen for a read of the month by a book club they will be the starting off point for many interesting discussions. For me, the redeeming part of the book was how the characters managed to adapt to a world without any of the conveniences we know in our lives, it was almost as if the book were written from a historical point of view with people from the future populating it. I enjoyed reading about the various ways they adapted things to make what they needed to survive, and also how their lives were very much dictated by the length of the days and the seasons. Everything this book covers could have led to an outstanding novel if padded out more, and imagination were allowed to raise its head occasionally; however, instead of this happening the book comes across as being very black and white and reads rather more like a dissertation on gender dynamics than the book I was expecting. Despite my misgivings about this book, the Author is certainly a skilled writer and I felt that I would have enjoyed this more if she had not tried to pack so much into such a small number of pages, 298 to be exact. Although I would recommend this book to book clubs that are looking for a read that will spark a lively discussion, I doubt very much if I will be reading anything else by this author. Every day is the same; they wake up in the same bed, at the same ungodly hour, to the same monotonous ringing from the alarm clock. They grumble their ‘good morning’s; whether they believe it is or not, rolling out of opposite sides of the duvet. They dance around each other in the bathroom, the heat of the shower creating a fog through which neither of them can see; causing him to stub his toe on the toilet or the counter, and steaming up the mirror so she can’t apply her make-up. They continue their ritual into the kitchen; flicking on the kettle, popping in the bread, pouring the orange juice; stirring the tea, catching the toast and spreading the butter and jam. Crunching and slurping together at the table, mumbling about what their days have in store; tapping texts on their phones, crinkling newspaper in their hands. They peck each other a kiss goodbye and mutter a ‘see you later’ before going their separate ways. He knows she doesn’t like Monday mornings. It’s the very beginning of a new, long, tiring week. She never looks forward to Mondays. He sets the alarm on his watch a little earlier than other days; shutting it off before it can wake her. He slips silently out of bed and tiptoes quietly into the bathroom to shower; leaving her smiley faces and love messages on the steamy mirrors. He creates her favourite tea and makes her toast with raspberry jam; just the way she likes it. Picking a flower from the garden; whichever one looks the happiest and brightest, he places it all on a tray and pads back up to the bedroom to wake her. She no longer sets her alarm on Mondays. She knows he’ll not let her oversleep. He places the flower in her hair and drops delicate kisses; full of his love and affection for her, to the corner of her mouth, until she stirs gently. She smiles on Monday mornings. They eat breakfast in bed, covering the sheets in crumbs and giggling contentedly as the cat licks them up. She hums in the bathroom while he clears away crockery, and always re-emerges with the flower tucked behind her ear. It remains there ‘til night fall. They never once look at their phones or the paper, far too focused on each other to pay anything else mind. Their kiss as they part reminds them of their love for each other and of the good things in life; like strolls along the shore, strawberries dipped in dark chocolate, smiling sunflowers that open to a beautiful summer’s day, and of course, Monday mornings. If you are picking this up expecting a book full of personal stories about military working dogs and the unique relationship that exists between them and their handlers, you may be disappointed as this book is written more along the lines of a history of the military working dog from how they came about to their current purpose in today’s military. It is immediately apparent when reading this book that the Author has done their research as they cover, in fine detail, the selection process for a puppy to become a Military Working Dog (MWD) right through to their retirement and transition, hopefully to a civilian life. 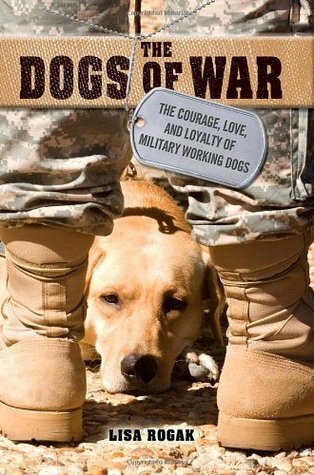 With so much research and detail this is a book that could easily have turned into something resembling a research paper, but the Author manages to avoid this pitfall turning the book into an informative memoir through the telling of the stories of different dogs and the roles they play as a MWD. Each chapter of the boo k is given over to a particular dog and their handler, and this leads to a greater understanding of the bonds created between the two, and the heartbreak felt when one or the other is lost. Interspersed with some wonderful photographs that show these dogs in action, this is a book that will surely capture the reader and pull them in from the very first page. It is emotional, funny, and above all informative and will give many readers a greater insight into the life of a MWD, and why they are held in such high esteem not only by their handlers, but by the Service Members they work alongside. I could write a lot more about this book in my review, but to do so would involve quoting portions of the book to illustrate what a great read it is, and I would rather the reader find that out for themselves. I would highly recommend this book to dog lovers and those interested in the military. Why: The Fitzroy Tavern was once right in the heart of London’s Artists Quarter, and was known as a meeting place for writers, artists, intellectuals, and Bohemians in the 1930s and ’40s. Two of the more notable regulars were Dylan Thomas and George Orwell, whose pictures can be seen on the walls of the downstairs Writers and Artists Bar. 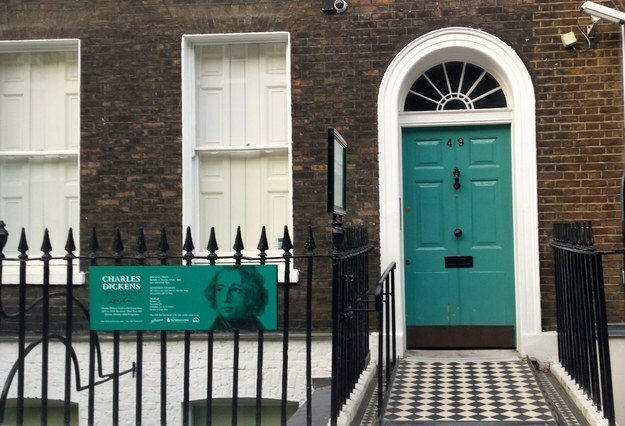 Why: The Charles Dickens museum, based out of the only remaining London home of the writer, he lived here from 1837–1839, and wrote Oliver Twist and Nicholas Nickelby within its walls. The shop is stocked with such Dickensian delights as plaster and bronze busts, ceramic figurines, stationery sets, embroidered towels, and feather quill pens. If you decide to pay the entrance fee and tour the four floors, you will not be disappointed. The museum is a reconstruction of what Dickens’ home would’ve looked like when he lived there, with period furniture — some, like his custom-made lectern or writing desk, originally owned by Dickens himself. The dining table is set for one of his dinner parties with place cards for writers like John Foster and William Thackeray, the library is preserved with walls of books written by Dickens and by those who inspired him, and portraits line the walls. It’s a good glimpse into Dickens’ life, but things like the kitchen re-creation also showcase upper-class Victorian life in general. Of Special Interest to: Bookshops, Book lovers… need I say more! One of my all time favourite spots in London! Why: Charing Cross Road is a book lover’s Mecca for its second-hand and independent bookshops. Quinto & Francis Edwards (72 Charing Cross Road) offers an eclectic selection of rare and antique books on its ground floor, and a more general (and often pulpy) inventory in the basement that is completely restocked every month. Any Amount of Books (56 Charing Cross Road) is the almost magical kind of shop where it feels like the books are spilling out of the walls — and it’s got an impressive collection of paperbacks on the pavement. 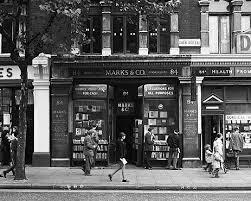 Also, while you are here take time to visit Marks & Co (84 Charing Cross Road), yes it is the shop that featured in Helene Hanff’s 1970 book. If you want something of a grander scale, there’s the flagship branch of Foyles’ (113–119 Charing Cross Road), which sells a comprehensive selection of both new and second-hand books, spread out among five floors. And if you’re still itching for more you can turn onto Cecil Court, which has its own collection of rare, specialist, and second-hand bookshops. 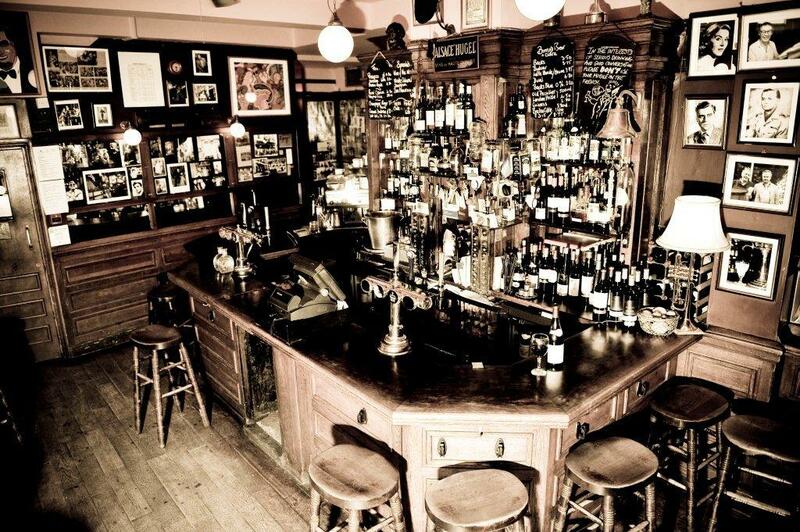 Why: This Soho pub is another onetime Bohemian hot spot, with a claim to poets Dylan Thomas and Brendan Behan as regulars. Dylan Thomas is reputed to have once left the only original, handwritten manuscript for his radio drama Under Milk Wood at the bar, which sent the BBC into a frenzied search. It prides itself on being a place for conversation it has a strict “no music, no machines, no television and no mobile phones rule,” though the phone rule might not be quite as rigid as the others, and it’s a lively gathering place. The problem is that it’s so lively, conversation is difficult without shouting. But if you’re down for shouting, and if you’re OK with cozying up next to strangers, it’s a great stop. Why: This sculpture celebrates one of the greatest playwrights of the English language, and was commissioned following a campaign and public appeal to finally honor and memorialize the famous playwright in the city where he lived, and where his plays were most performed. The sculpture depicts Wilde emerging from a low granite sarcophagus, and according to the sculpture’s creator, Maggi Hambling, “The idea is that he is rising, talking, laughing, smoking from this sarcophagus and the passerby, should he or she choose to, can sit on the sarcophagus and have a conversation with him.” On the granite, a quotation is inscribed from his play Lady Windermere’s Fan, “We are all in the gutter but some of us are looking at the stars”. Oscar Wilde was born in Dublin in 1854, and he was educated at Trinity College, Dublin and Magdalen College, Oxford. 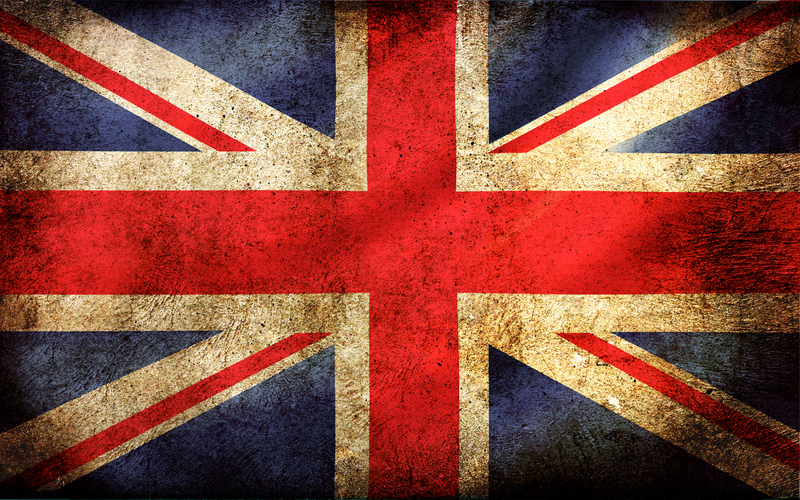 After he graduated, he moved to London to pursue a literary career. In the early 1890s, he wrote several extremely successful society comedies that continue to be popular with theatre audiences today, including An Ideal Husband, and The Importance of Being Earnest. Oscar Wilde’s personal life became tumultuous when he began an affair with Lord Alfred Douglas. After fighting a disastrous court action over accusations of gross indecency, Wilde was arrested, convicted, and sentenced to two years of hard labour. Following his imprisonment, he lived the remainder of his life in exile, and died in Paris on 30 November 1900. A Conversation with Oscar Wilde was unveiled on the 98th anniversary of Oscar Wilde’s death. Why: The original Globe Theatre, where many of Shakespeare’s plays were first staged and which he co-owned, burned to the ground in 1613 during a performance of ‘Henry VIII’. Nearly 400 years later, it was rebuilt not far from its original site, using construction methods and materials as close to the originals as possible. The open-air, free-standing Yard is the best bet for those after complete authenticity, the absence of seating may test your stamina, while the Middle and Upper Galleries afford an atmosphere of their own. The Globe has a commitment to faithfully recreating an original ‘Shakespeare in performance’ experience, with the season running from April to October. In the UnderGlobe beneath the theatre is a fine exhibition on the history of the reconstruction, Bankside and its original theatres, and Shakespeare’s London, including elegantly displayed costumes from early productions in the new theatre, filmed video interviews and touch screen exhibits on Elizabethan special effects; visitors can also edit a page of ‘Hamlet’ to their own specifications and print the result. 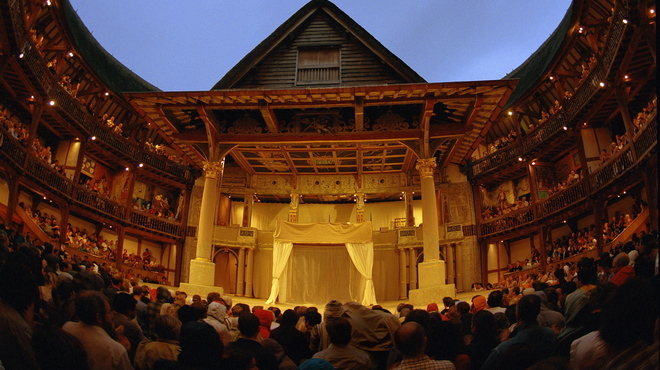 Guided tours of the Shakespeare’s Globe theatre run throughout the year and seasonal festivals take place on the riverside area outside the Globe. 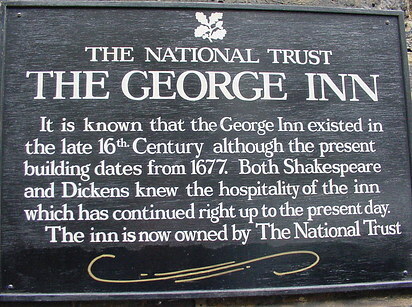 Why: The George Inn dates back to the late 16th century, and it stands as the last remaining original coaching inn in London. 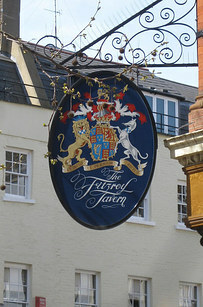 A placard in the courtyard counts both Shakespeare and Charles Dickens among those who “knew the hospitality of the inn,” and the spot even has a mention in Dickens’ Little Dorrit. The 300-year-old building is pretty stunning, with two floors of interlocking, oak-beamed dining rooms, latticed windows, open fireplaces, and long galleries. It’s a busy spot — it attracts tourists for its proximity to Shakespeare’s Globe, and it’s often used for conferences and events — but because it’s so large, you don’t really feel cramped, and you can explore the less crowded nooks and crannies and convince yourself that you’ve actually travelled back in time. Why: Set aside out a full few for exploring the garden squares of Bloomsbury. This idyllic area is most famous for being a home and meeting grounds to the great writers, artists, and intellectuals of the 1920s and 1930s known as the Bloomsbury group, but it’s had a long history of literary ties. 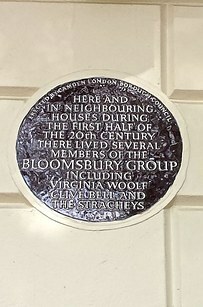 There’s Gordon Square, where you can spot blue plaques, some of which you may have to look closely for, marking the homes of Lytton Strachey (51 Gordon Square), John Maynard Keynes (46 Gordon Square), and Virginia Woolf (50 Gordon Square). You can enjoy the fountain plaza at Russell Square and check out where T.S. Eliot once worked, at Faber & Faber. Swing by 87 Marchmont Street and find the former home of Mary and Percy Bysshe Shelley. Or you can just claim a spot on the grass at Tavistock Square and read until you fall asleep. Why: The British Library is a necessary stop if only for the fact that it is technically, based on the number of catalogued items, the largest library in the world. Those who are drawn to libraries in general will eat it up: the rare collections, the serene reading rooms, a sprawling piazza, and some truly life-changing upright panels for leaning and reading. 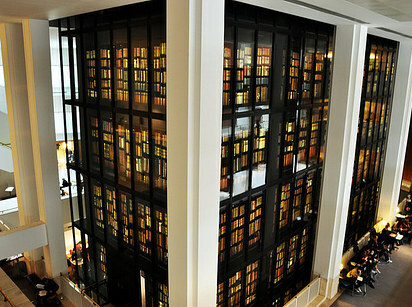 But the biggest draws are the King’s Library and the Sir John Ritblat Gallery — the former an awe-inspiring, six-story glass tower right smack in the middle of the building, containing 65,000 printed volumes, pamphlets, manuscripts, and maps collected by King George III between 1763 and 1820; the latter, a stunning free exhibit showcasing sacred scrolls, historical documents, and original manuscripts — many annotated with the authors’ handwritten notes — including Beowulf, Canterbury Tales, Jane Eyre, Alice’s Adventures Under Ground, Mrs Dalloway, and more. It also has a well-stocked book and gift shop, which is worth a visit. 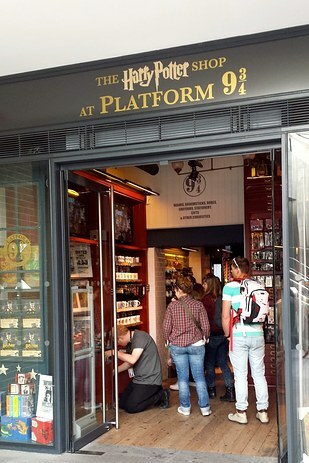 But instead of transporting to Hogwarts, you just give the scarf back to the employee and swing around the corner to the cozy shop, which holds a wonderland of Harry Potter merchandise despite its tiny size. A display of wands lines the back wall, basically straight out of Ollivanders. You can stock up on house cardigans and scarves, Bertie Bott’s every flavour beans, Marauder’s Maps, feather quill pens, and — if you want to drop some more serious money — original, signed posters. 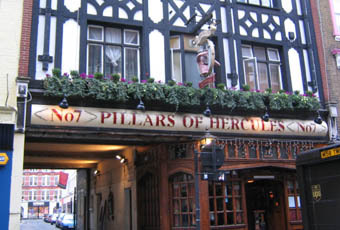 Why: Situated in Soho, this pub dates back to 1910, but a tavern of the same name has been at the site since as early as 1730. It apparently inspired Charles Dickens enough for him to drop its name in A Tale of Two Cities, and the honor was returned when the road at the bar’s side was renamed Manette Street, after the book’s Doctor Manette. More recently, the spot has been said to draw some of the best of London’s literary scene, including Martin Amis, Julian Barnes, and Ian McEwan. Writer and critic Clive James even named his second collection of literary criticism after the bar, allegedly because that is where a majority of the essays within it were written. The trail continues down Baker Street, and the silhouette can be found on the signs and windows of both the restaurant and bar across the street; the clothing shop next to those displays capes in the window (which could be a coincidence, but still). Even the dry cleaner isn’t just a dry cleaner — it’s the dry cleaner to Sherlock Holmes. And then you’re there, at “the world’s most famous address”, in the reimagined home of everyone’s favorite fictional detective. 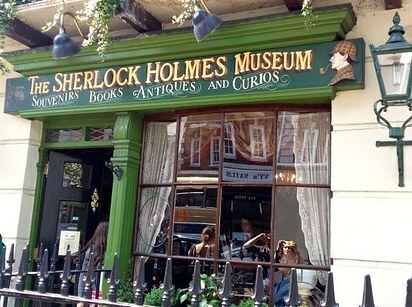 The museum portion is a re-creation of the home of Sherlock Holmes, as described by Sir Arthur Conan Doyle. The sitting room, bedrooms, study, and laboratory are all set with Victorian-era furnishings, “handwritten” notes and memorabilia about various cases, and life-size figurines. The museum shop is honestly enough of an attraction in itself if you don’t want to pay admission to the actual museum and it’s filled with standard souvenir fare, However, you can also find some rare and often silly gems (hats, walking sticks, pipes, handcuffs, and, of course, books), and all of the employees are in period garb.